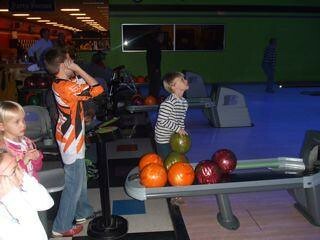 Eighty-five people came out to Pro Bowl in Howard on Sunday, January 8, to “cosmic” bowl for Star Tommy Lemkuil. It was an “out of this world” event with 66 kids having a great time! There was a silent auction with excellent prizes and a “kids only” bucket raffle. It was a wonderful, fun event!! Thank you to all the friends and family of Tommy and Melissa Lemkuil for supporting your local American Red Cross! 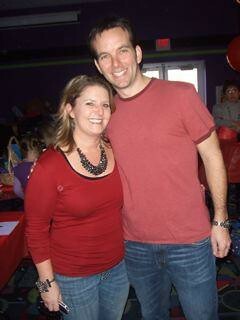 Also, Thank you to Tommy and Melissa for organizing our first Dancing with the Stars Red Bowl! To view pictures of the event click HERE. If you were not able to come to the event but still want to vote for Tommy click HERE.